Steph is a qualified BHSII(T) instructor, married to Rob Appleton MRCVS. 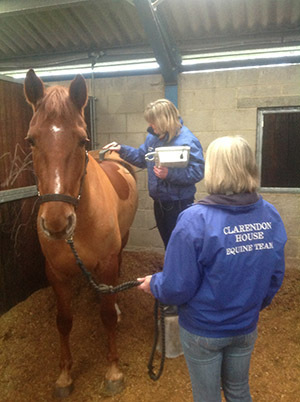 She is a partner in Clarendon Equine Veterinary Practice, trained and qualified in equine manipulation and equitherapy with 20 years experience. Steph also trains and competes horses to grand prix dressage level. Steph is an influential part of our team. This is her second year with us and her help and advice with all of our horses is second to none. We are very lucky to have Steph as she is reliable and we love her techniques to improve our horses performances.